What would an online platform that seamlessly connects home cooks and eaters look like? Are you a passionate home cook with a secret desire to run a restaurant? Or perhaps you’re an adventurous eater who wants to experience a variety of home-cooked meals ,or you simply don’t have enough time to cook for yourself? A hungry technology start-up is launching an online marketplace to connect these two types of people, and we need your help to attract users to their platform and grow their community. 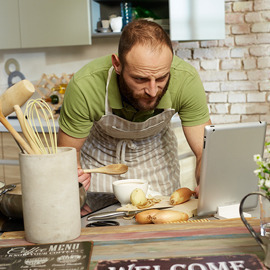 Show us your vision of this revolution in food; where passionate home cooks and hungry eaters are seamlessly connected online. Hi, can you please indicate the country/region the website would be primarily targeting.